Aura: Where you can talk with me. Do you want to know where you can find me? You decide how and where you want to talk to me. I’m constantly growing so you can find me wherever you need me. I am wherever you want me to be. You can find me through the following mobile apps. 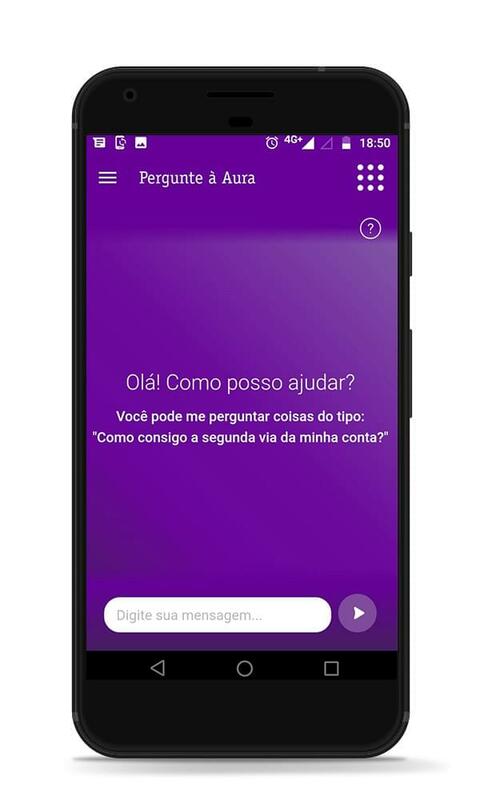 You can also talk to me through virtual assitants, and the new Movistar Home device. I can make your digital life with us much easier: check your bill, top up your phone or put you through to customer support. Chat with me and do things in less time, in a natural and simple way. The more you ask me, the better I’ll know what you need. Let me do the rest for you! "Connect with me through WhatsApp". I find your favourite series, change the channel or get recommendations for films or documentaries. 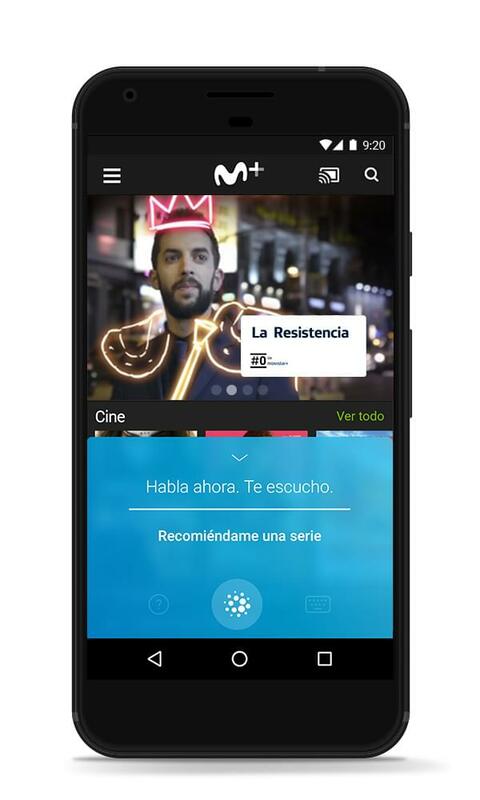 Ask me by voice or text through the Movistar+ app that you will find in Google Play and App Store. What are you waiting for to download the application? Take a look at the tasks I can help you with. The more you ask me, the better I’ll know what you need. 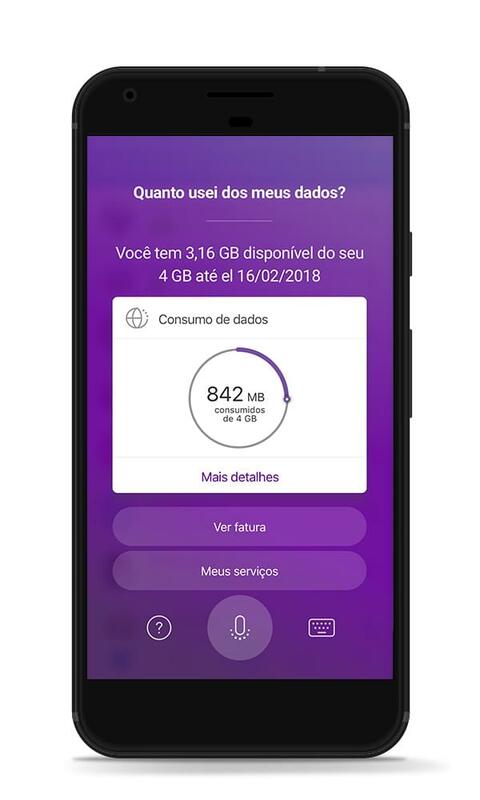 If you've used up all your data, you’ll know before it happens. I can also offer you a new bonus if you want to expand your fare, or show you the list of things you've done with your services this month. See the tasks I can help you with. I was born to help you manage your digital life with Vivo: check your bill, see how much data you've consumed or track an incident. With me, you can get more done in less time, simply. It’s that easy and comfortable! I can help you manage your digital life. I can show you your last bill, change your registration data or top up your phone. Ask me for help and you will do more things in less time! I can help you to manage your digital life with Vivo: let you know where the nearest Vivo store is, give you information about your account payments, change a contracted plan or view Vivo Business plans. With me you can do more things in less time, it's that easy and simple! If you’re on O2, I can answer your account and billing questions – all you have to do is ask. You can talk to me by voice or text. 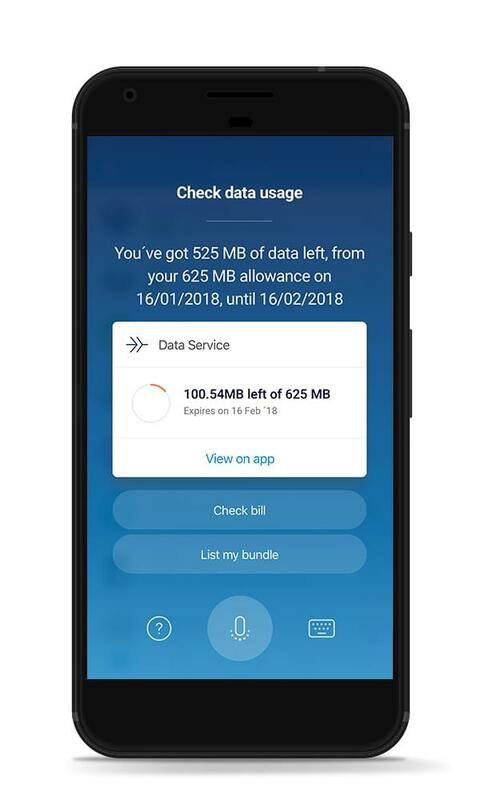 And because I’m designed to create a personalised experience, I’ll soon be able to let you know if you’re spending more than usual or if you’re running low on data. My O2 is available in the United Kingdom. 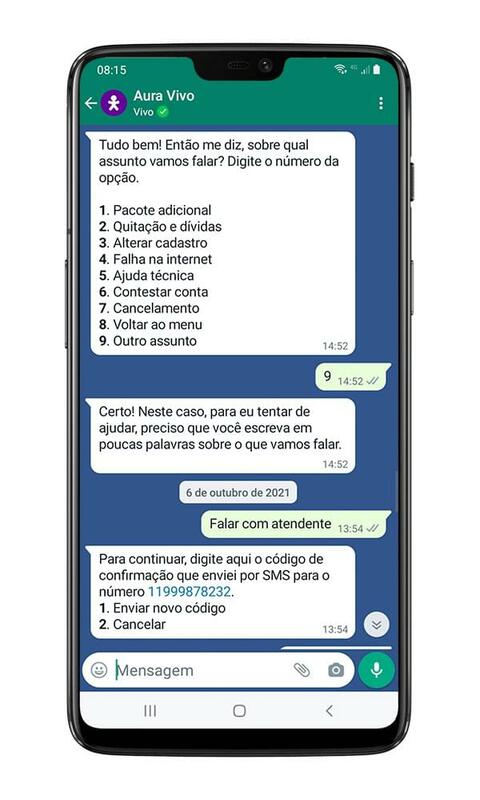 I help you to manage you digital life with us though the Facebook Messenger app. I can show you your data consumption or details of your contracted products and services. Also, if you are in Chile, you can ask me to notify Facebook’s Safety Check feature so that, if some kind of catastrophe happens in your área, you can let your family and friends know your status. The more you interact with me, the more I will get to know you and will be able to help. You only have to send me a message and tell me what you need. Let me do the rest for you! Available in Germany, Chile and Brazil. You can ask me what your contracted bundle includes, see your data consumption, latest bill or ask me to tell you where the nearest Vivo store is. 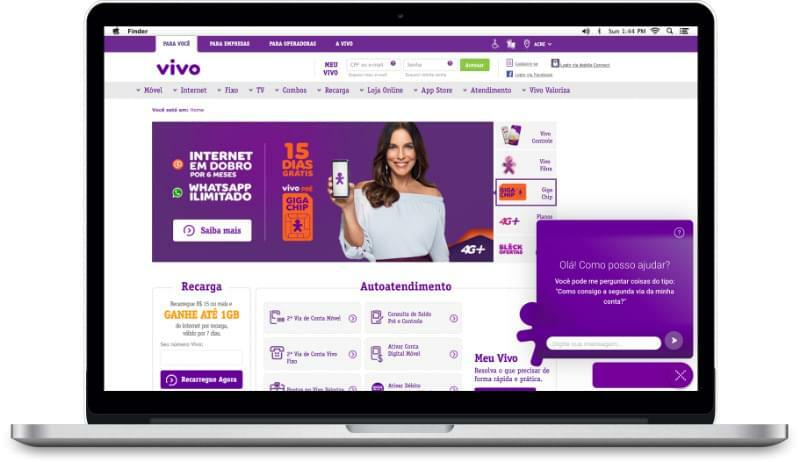 I will also show you the details of your products and services contracted with Vivo. If you want, I can show you the list of activities you've done in the last month in relation to your services with us. "Chat with me through Google’s virtual assistant". "How can I help you?". WHERE WOULD YOU LIKE TO FIND ME? You've already seen my first steps, but I'm constantly evolving. What other services and countries would you like to find me in? Chat with me through Google’s virtual assistant.